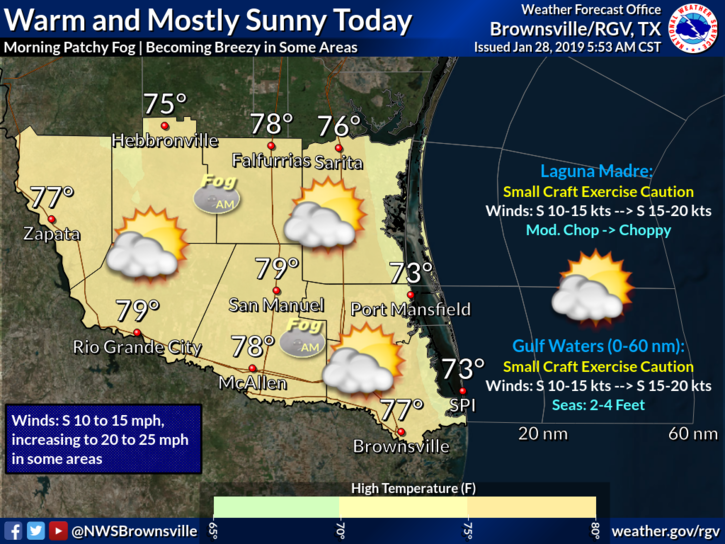 Temperatures will warm up to the mid to upper 70s on Monday across the Rio Grande Valley, according to the National Weather Service in Brownsville. After patchy fog Monday morning, expect a mostly sunny day with breezy conditions. McAllen will see a high of 78. Rio Grande City and Brownsville will be 79 and 77, respectively. The coastal areas will be around 73.